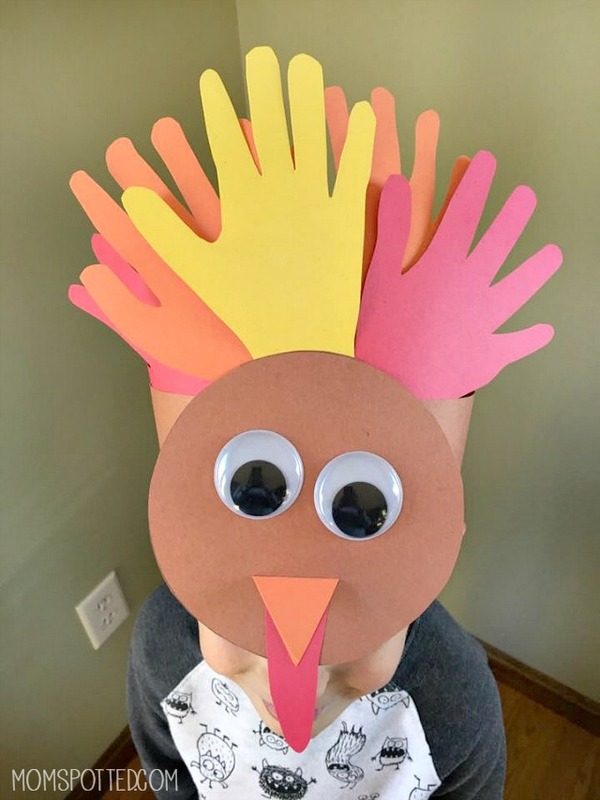 This Turkey Handprint Headband Hat Craft was perfect to get us ready for Thanksgiving. This fall has flown by. I can’t believe Thanksgiving is already upon us. I wish we could say we’ve been out enjoying all things fall but we’ve started this holiday season off being sick. Sawyer has missed more school this month than we normally have from all three kids all year long. 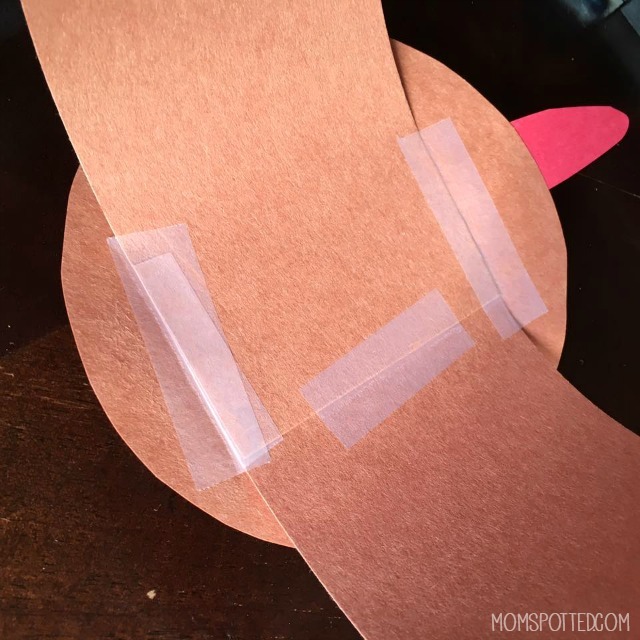 I knew Sawyer would be missing out on a lot of classroom fun so I wanted to have some fun at home and this craft was perfect. Since Sawyer hasn’t been feeling great I didn’t want to drag him out to the store. I keep a pretty stocked craft room thanks to Oriental Trading but this craft only uses the basics you likely have on hand too. 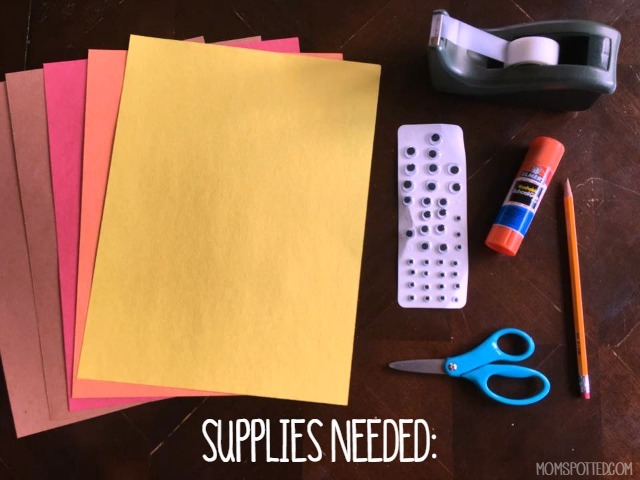 You’ll need two even strips of brown construction paper. We didn’t do an exact measure but made sure that they were both the same. I brought them around my son’s head and then taped them together with enough slack that it won’t tear easily. We used tape instead of staples so that there would be no chances for scratches or cuts. 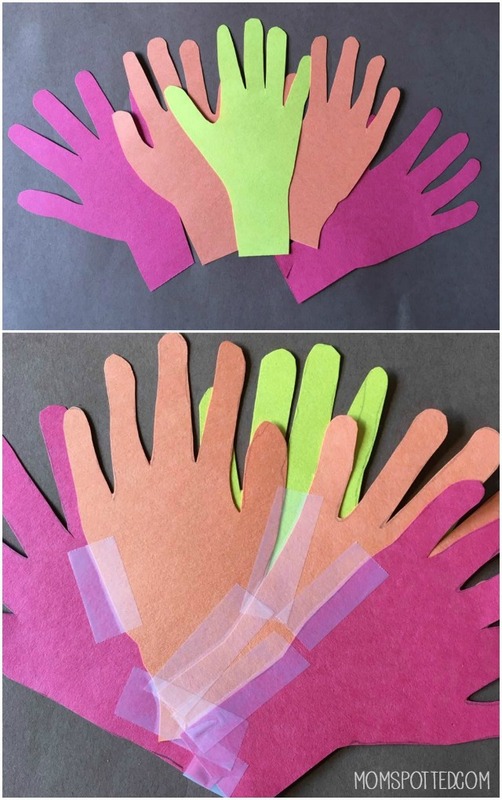 Trace your child’s hand out on the colors ou chose for turkey feathers. We used the same hand for all the cut outs. When you are done tracing and cutting them out lay them together and fan them out. I left the “wrist area” a little longer so it was easier to maneuver. Once you have them how you like them tape the backs together. 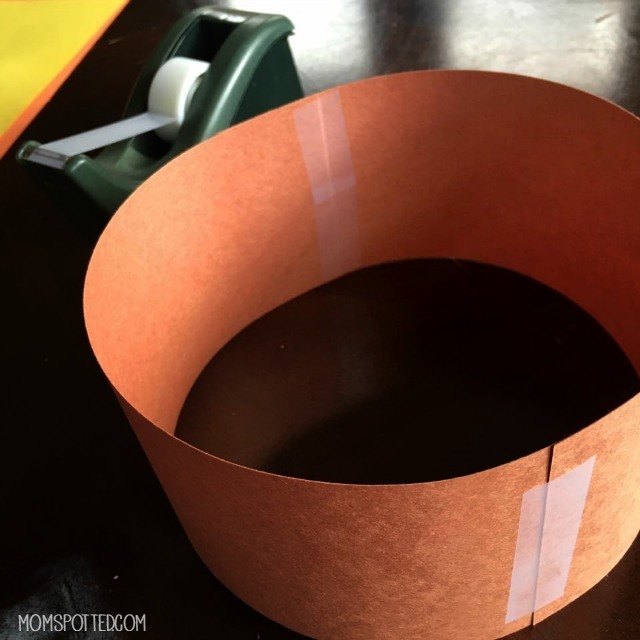 Next, we cut out a circle (you can free cut or trace a bowl or cup) and used scraps from the hands to make the rest. Sawyer, of course, wanted the biggest googly eyes we had. He loved that when he’d jump around they’d move with him. 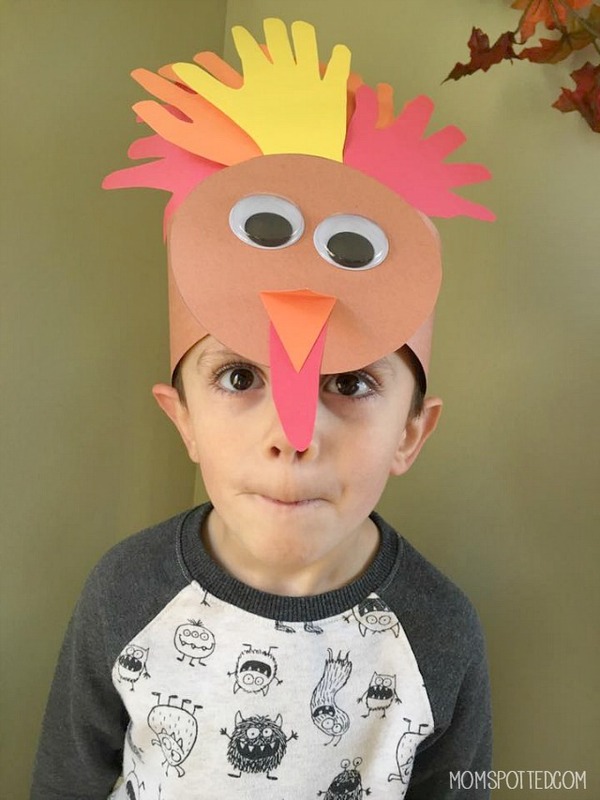 When your turkey face is dry and together you can flip it over and attach the headband part. Make sure to choose where you previously taped it together and you won’t see any of the tape markings when it’s on. Afterward just flip it over and tape the feather hands to the headband. Easy Peasy. 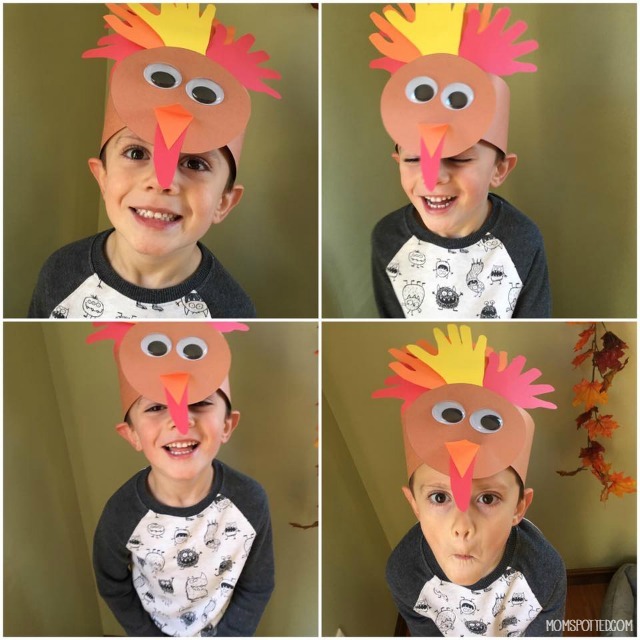 Sawyer just loves his Turkey Handprint Headband Hat! 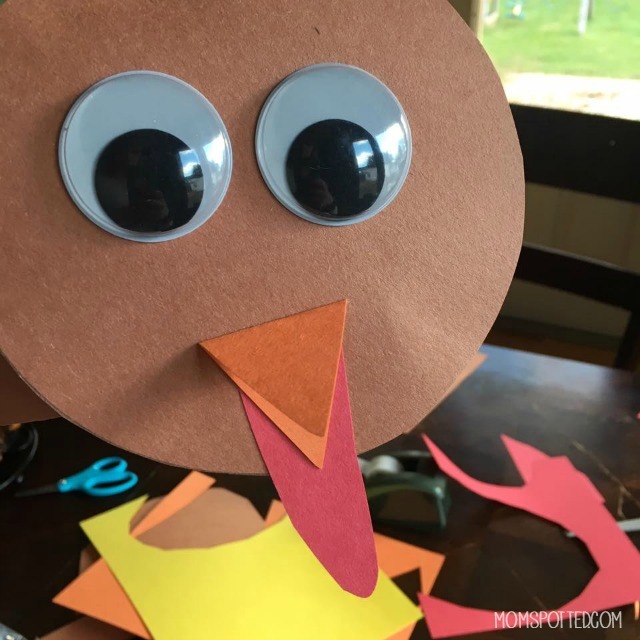 For more fun craft ideas make sure to follow our Fun Crafts with Mom Pinterest Board! You can also check out all my other great Handprint Crafts here. Really cute! 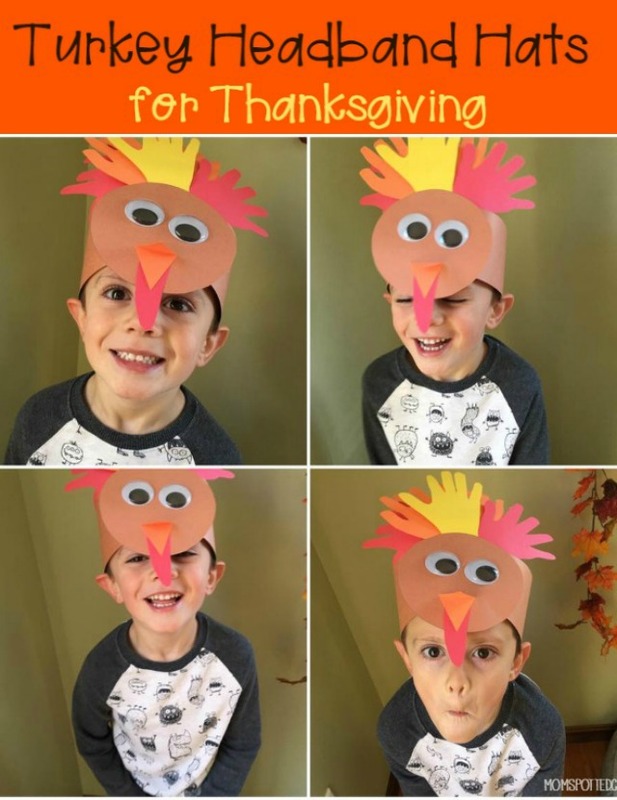 And it looks like your son is enjoying being a turkey! What a great smile. This so cute. I wish I had seen this before Thanksgiving. I know what we will be making for Thanksgiving next year. I know a couple of my grandchildren will have fun making them. I think we will make one for everyone, even the adults. 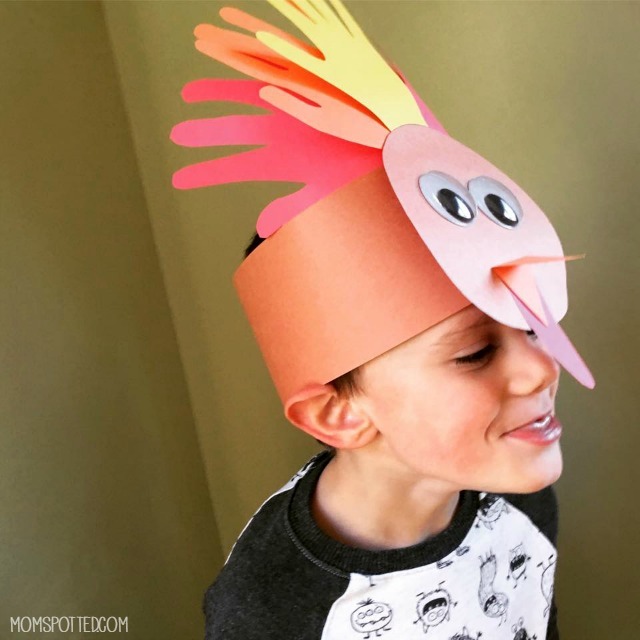 This is a cute turkey hat for thanksgiving. 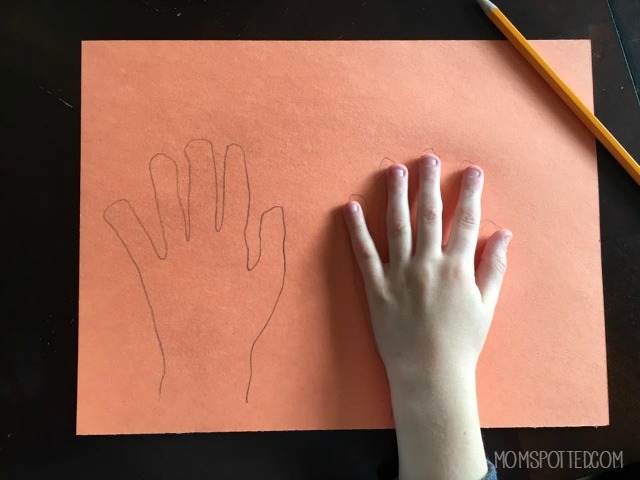 These will be great to make with my granddaughters especially since they love to trace their hands.